I read the Diary of Anne Frank in a high school honors English class. The instructor expected more from our “honors” class and required us to act out a scene from the book. Myself and another classmate took the nightmare scene. Anne screams out in the night and her father rushes to her side. It was more to quiet her than for comfort. “We’ll be discovered hiding…” My classmates commented that I seemed to take the little classroom skit “seriously.” Perhaps the conviction in my scream and words. I was never sure if I was mocked, or genuinely praised. We went to see the stage production. Her last diary entry was written 70 years ago on August 1, 1944 from the attic hiding place. I prepared a term paper on WWII concentration camps for a high school World History class. I can still see the desktop where I worked at my grandparents home. My papa was fighting a losing battle with cancer in another room. I was discovering the gas chamber horrors in the Encyclopedia books. Death was immanent on those pages and my Papa. Eventually, I made my way to visit Israel on a Holy Land pilgrimage. I visited Yad Vashem – The Holocaust Museum. Halfway through I was smothering in raw images. The relics of so many lives lost. This Summer I came full circle during a week of sightseeing in Poland. 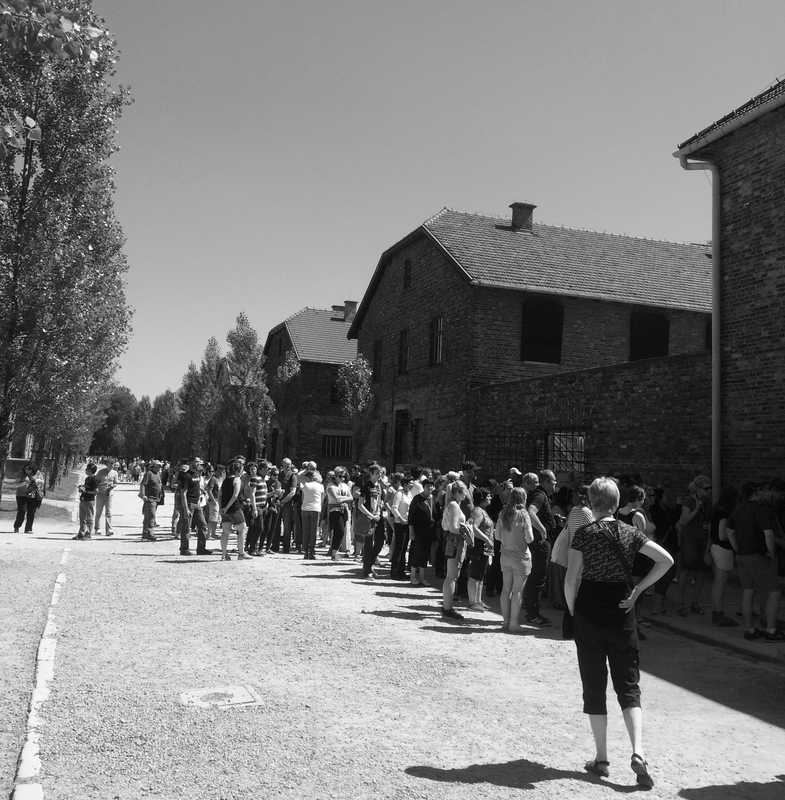 The last full day – Auschwitz-Birkenau. The image below is of the Death Block. Some 75 years ago that image would have shown people in their moments before death. We passed through and came out. We walked in the ‘showers’, passed the furnaces, and came out. If I thought Yad Vashem housed many human relics, this death camp far surpassed anything I’d ever seen or read. I bought a book there titled “Hope is the Last to Die” by Halina Birenbaum. She was 10 in 1939 and survived. This is her recollection of months hiding in attics in the Jewish Ghetto of Warsaw. The eventual capture of her family and years endured in torture are recounted up to the liberation in 1945. There are no chapter separations in the journal. This literary fact added to the endless misery as even I read along asking, “When will this end? Where are the Allied Forces? How did this ever happen in the world?” I cried and had some disturbed nights trying to sleep. I had finally left Anne Frank’s attic and walked the rest of the story – beyond her last page. On the flight home, I watched the movie “The Book Thief” and cried some more. I just finished reading the book as well. A story of Liesel Meminger, a 9 year old girl whose German parents are “taken away” for being Communists. She gets new German foster parents – a foster father she calls Papa who doesn’t want to join “The Party.” Papa owes a great personal debt to a Jewish comrade from WWI. They hide his son in their basement. If you have seen the movie, by all means read the book. The book makes it clear that Death is the narrator. There are many victims in war. My grandfather, who I call Papa, kept a journal. The first time I turned it page by page, I found it contained his official “Air Raid Warden” procedures. There were first aid procedures for poisonous gasses and fallout. Administering first aid to the injured. Instructions for shades to be drawn at night to block the light. I can now truly appreciate those pages. I thought of the many who no longer cast a shadow at Auschwitz, but only in memory. 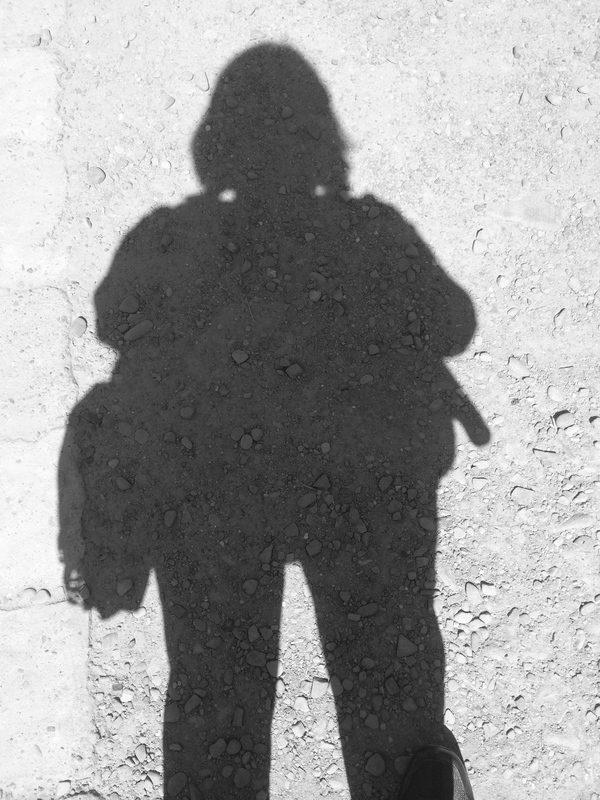 I thought of the many who no longer cast a shadow at Auschwitz but only in memory. Viktor E. Frankl “Man’s Search For Meaning” had a huge impact on me.